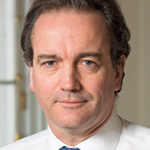 In the run-up to the 2010 general election, Nick Hurd and Francis Maude, who would respectively become the Minister for Civil Society and the Minister for the Cabinet Office, outlined three priorities for the sector: making it easier to run a charity, social enterprise or voluntary organisation; getting more resources into the sector, strengthening its independence and resilience; and making it easier for sector organisations to work with the state. Two months into government, Prime Minister David Cameron also delivered his vision of the big society, which included a new culture of voluntarism, philanthropy and social action; reforming public services to admit new providers, including charities; and creating what he called "communities with oomph". Cameron wanted a bigger society, but all across government budgets immediately became smaller. The most recent NCVO UK Civil Society Almanac says the voluntary sector lost a total of £1.3bn in government funding between 2010/11 and 2011/12, and the downward trend is certain to be confirmed when more recent figures are calculated. In Labour's final year, the Office of the Third Sector had £227m to spend on the sector; by 2013/14, the corresponding figure was £170.4m. Nearly half of that 2013/14 figure went on the National Citizen Service, the government's flagship volunteering programme for 15 to 17-year-olds, which it has described as the "gateway to the big society", attracting about 130,000 participants so far. It has been criticised as too expensive and attracted 20 per cent fewer participants than hoped for in 2013/14, but seems likely to continue. One of the first victims of the cuts in 2010 was the Strategic Partners programme, which was set up in 2005 and gave 42 organisations a total of £63m over its first five years. It was pared back to £8.2m for 17 organisations in the three years to 2013/14, when it closed. The biggest OCS programmes under this government have included the £100m Transition Fund, the £68m Advice Services Transition Fund and the £30m Transforming Local Infrastructure Fund, all now completed, but to mixed reviews by the sector of their effectiveness. Final details are still to be confirmed for the OCS's £40m Local Sustainability Fund for medium-sized organisations, announced by Hurd in May last year, while a new charity called Access: The Foundation for Social Investment – to which Hurd's recent successor Rob Wilson has pledged £60m of OCS funds – is in the process of being launched. Asked what has been achieved against the priorities outlined by ministers nearly five years ago, the Office for Civil Society uses a different, if related, set of headings (see, ): channelling resources into the voluntary sector, opening up new markets, making it easier to set up and run a charity, and supporting business change. Significantly, the first item on its list is social investment, a priority for both Hurd and Wilson and an area where the government claims the UK is a world leader. The social enterprise community says that government initiatives, including a new social investment tax relief, have started to make a real difference. It remains to be seen, however, whether they will have an impact on the scale the government hopes for. The OCS puts volunteering under the same heading as social investment, emphasising an increase in the proportion of people found by the Cabinet Office's Community Life Survey to have volunteered at least once in the previous year from 66 per cent in 2009/10 to 74 per cent in 2013/14. Other figures from the survey, however, show that the proportion volunteering formally every month was 27 per cent in 2013/14, down from 29 per cent in 2012/13 (the highest level since 2005), though still better than the 25 per cent of 2009/10. One recent government volunteering initiative has proved unpopular – more than 500 voluntary groups have signed up through the Keep Volunteering Voluntary campaign to boycott the incorporation of volunteer placements into the Help to Work programme for social security claimants. Under the heading of opening up new markets, which corresponds roughly to the original heading of making it easier to work with the state, one of the more substantial moves mentioned by the OCS – the Public Services (Social Value) Act 2012 – was a Tory backbencher's private member's bill. 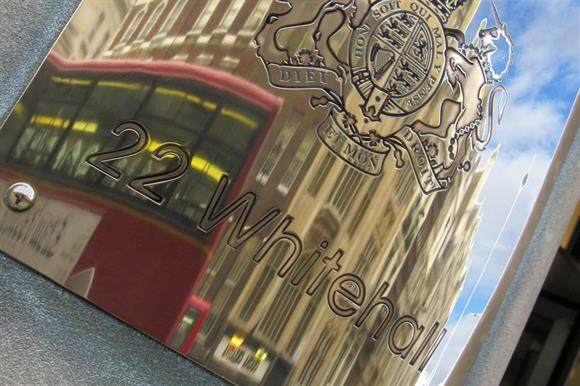 Many charities found working with the state in the Work Programme in recent years highly problematic; whether that will improve, as promised, with the Transforming Rehabilitation programme from the Ministry of Justice remains to be seen. Despite the OCS's £10m Investment and Contract Readiness Fund, the charity slice of the public services cake remains small, and when the sector manages to find a way in there can be other problems. Evidence to the Panel on the Independence of the Voluntary Sector showed how difficult it could be in practice to both work with the state and retain independence. Many in the sector feel this has been exacerbated by the perceived weakening of the Compact under the coalition government. Various Treasury initiatives have affected the sector, including the new social investment tax relief, several VAT changes, the introduction of the Gift Aid Small Donations Scheme, other Gift Aid reform and an inheritance tax relief for those who leave legacies to charities. The effectiveness of these attempts to bring more resources into the sector have had mixed reviews. Given the rhetoric about making it easier to set up a voluntary organisation, it was ironic that Sam Younger, former chief executive of the Charity Commission, used his final public speech to urge would-be charity founders to consider whether they were better off working within existing charities. The Cup Trust scandal prompted concerns about charities being abused for tax purposes, and the government proposed to introduce legislation that would make it tougher to set up a charity that could be so abused. Given the collateral damage it foresaw, the sector breathed a sigh of relief when these plans were shelved. The Cup Trust also reflected badly on the Charity Commission, which is now engaged in a "transformation programme" to make it a more robust and risk-based regulator. Many in the sector will remember this parliament above all for the lobbying act. This controversial piece of legislation, seen by some as an attempt to prevent charities speaking out, became law in January 2014, and discomfort among some Tory MPs about the advocacy role of charities has rumbled on. Does all this leave the sector in a better place? Karl Wilding, director of public policy at the National Council for Voluntary Organisations, says: "This will sound like a politician's answer: it isn't in a better place – it's in a different place." Wilding says funding cuts, increased demands on charities and a more fraught relationship with the state have changed the landscape. He is concerned that the negative views of some politicians could do more damage. "That positive narrative about the big society is being replaced by a more troublesome one of charities not always contributing to the public good," he says. John Hemming, chair of the Charity Tax Group, says that in taxation terms the sector is "on the whole in a better position now than it was in 2010". He praises VAT changes and the introduction of HM Revenue & Customs' Charities Online service. When the government has consulted properly with the sector, as on the tax-avoidance proposal, he says, the outcome has normally been positive: "Without consultation, government efforts to tackle tax abuse or limit tax relief have often been badly targeted." Andrew O'Brien, head of policy and public affairs at the Charity Finance Group, is less positive about taxation. "The government has recognised the problems that charities face in the tax system, but implementation has been problematic," he says. Public contracting has suffered similarly from good intentions remaining unfulfilled, he adds. 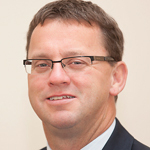 Nick Temple, deputy chief executive of Social Enterprise UK, also sees the social value act and initiatives to improve commissioning as works in progress. Social investment "has gone past peak hype", he says, and is now making a tangible difference. "The sector is in better shape than it was five years ago, but most of that is down to the resourcefulness and commitment of social enterprises themselves, regardless of the external circumstances," he says. John Downie, director of public affairs at the Scottish Council for Voluntary Organisations, is unambiguous. "The coalition government hasn't been good for the third sector," he says. "The sector in the rest of the UK has been under attack, while successive Scottish governments have been supportive of the Scottish third sector." Social investment: Big Society Capital, the world's first social investment wholesale bank, opened in 2012. Centre for Social Impact Bonds created. Social investment tax relief introduced in 2014. Investment readiness programmes, including Access, starting this year with £60m from the OCS. BSC, initiated under Labour, has helped to create 30 lending intermediaries and committed £180m of investments. Thirty social impact bonds set up. Volunteering: Community Life survey shows increase in volunteering. Projects include Centre for Social Action, Community First Neighbourhood Match Fund and Community Organisers programme (5,500 organisers recruited). Contracting: The OCS has funded the National Council for Voluntary Organisations to deliver 24 two-day masterclasses on commercial skills; and Inspiring Impact, a 10-year sector-led programme on impact measurement. Contracts Finder was launched in 2011. Twenty-eight more masterclasses to come; 1,000 organisations have used Inspiring Impact. Contracts Finder is being made more user-friendly. Public services: The OCS has promoted a level playing field for public sector contracts. Commissioning Academy, established to improve the awarding of contracts, has trained 500 people. The social value act encourages local councils to take community benefit into account on contracts. OCS is considering piloting of a new "school" focused on assessing bids from civil society organisations. Regulation: The Charity Commission has increased the charity audit threshold from £500,000 to £1m, taking out 3,100 small charities. Charitable incorporated organisation has been activated to make it easier to set up and run a small charity with benefits of limited liability. Since 2013, more than 3,500 organisations have become CIOs, a legal form created by the Charities Act 2006. Transparency: The OCS has supported the Charity Commission's decision to publish open data on annual returns of charities. Measure is intended to increase understanding of how charities spend funds, identified as a barrier to giving. Small charities: Commercial masterclasses laid on to help small charities adapt to new economic environment. The Local Sustainability Fund of £40m, announced last year, awaits final approval. The £100m Transition Fund and £68m Advice Services Transition Fund helped charities weather the recession and become sustainable. Sustainability: Government has supported infrastructure bodies to adapt to new funding environment with £30m Transforming Local Infrastructure Fund. The fund has helped 74 partnerships to change. Several charities and sector umbrella bodies published their shopping lists for the next government some time ago–- in the case of the National Council for Voluntary Organisations, 10 months back. It calls for a "centre for social value" to promote the social value act, simplification of the Gift Aid Small Donations Scheme and a loan fund for preventive or early-intervention social programmes. Karl Wilding, director of public policy at the NCVO, says smaller adjustments, such as improvements to Gift Aid, are more desirable than big, shiny projects. "What makes a difference to the sector are the lower-level things, not big, set-piece programmes," he says. 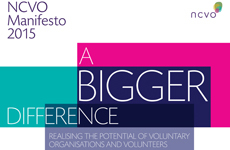 Similarly, the election manifesto of the volunteering charity TimeBank asks the next government to "stop reinventing the wheel" on volunteering, saying there have been too many "ill-thought-out initiatives calling for more people to volunteer without acknowledging the numbers that already do". 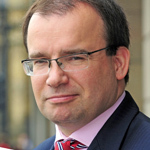 Andrew O'Brien, head of policy and public affairs at the Charity Finance Group, wants measures to improve Gift Aid take-up and the GASDS, and improvements to the commissioning of public services. 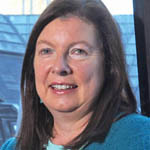 He and the Social Economy Alliance, led by Social Enterprise UK, are calling for the social value act to be strengthened. The alliance's manifesto calls for greater opportunities for communities to take a stake in energy suppliers and other key local services. 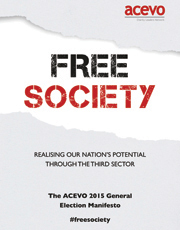 The 2015 election manifesto from Acevo, the chief executives body, asks for more power for the Office for Civil Society. 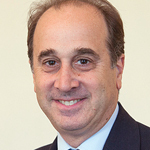 The office's minister, currently a parliamentary under-secretary, should be restored to the higher status of minister of state – as was the case at the end of the previous government – and be allowed to attend Cabinet, it says. Acevo tells the government to forget about the big society and focus instead on creating a free society, safeguarding the right of charities to campaign. Asheem Singh, its director of policy, also hopes for a strong minister. "A luncher or a schmoozer won't cut it," he says. "We need a doer with an eye for the future of society and social change." The key election ask from the Scottish Council for Voluntary Organisations is more devolution. John Downie, its director of public affairs, says this should include consideration of how tax devolution would affect Gift Aid. "There is a danger that these things are not being thought through as well as they should be," he says. None of the main political parties had released their manifestos for the 2015 general election as Third Sector went to press – publication was expected after the dissolution of parliament on 30 March. But there have been some indications of what the Conservative and Labour parties have in mind for the sector. Rob Wilson, the Minister for Civil Society since September, has not produced specific proposals, but has mentioned expansion of the National Citizen Service and measures to foster social investment. 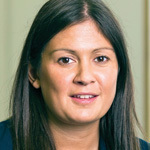 He and his Labour shadow, Lisa Nandy, both pledged broad support for the principles of localism when they spoke at the recent hustings organised by the All-Party Parliamentary Group on Civil Society and Volunteering. Nandy has said repeatedly that Labour would repeal the lobbying act and replace it with new legislation designed to regulate lobbying more effectively, remove new restrictions on judicial review applications and get rid of unnecessary gagging clauses in public contracts. The party would also introduce a kitemark for businesses that want to give staff time off to volunteer, and put volunteering on the school curriculum. Labour is also interested in the idea of a community reinvestment act, modelled on similar legislation in the US, that would oblige banks to lend more to social organisations working in deprived areas. The only other politician at the APPG was Jean Lambert, a Green MEP for London. The invitation to take part was declined by the UK Independence Party and the Liberal Democrats. The latter have not had a discernible impact on OCS policies despite being part of the coalition government, although the party supported the lobbying act.